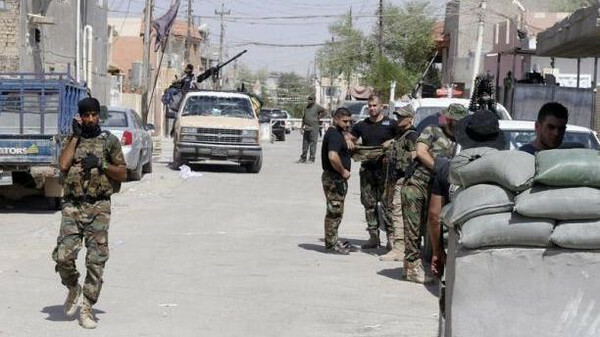 JNN 03 Sept 2014 Baghdad : Iraqi Kurdish forces and Shiite militiamen retook the town of Sulaiman Bek from IS terrorists on Monday, removing a key stronghold they have held for over 11 weeks, officials said. “Sulaiman Bek is under the control of the combined forces,” but there is still danger from bombs the terrorists may have left behind, said Shallal Abdul Baban, the official responsible for the nearby Tuz Khurmatu area. Fighting to retake the village of Yankaja, also located in Salaheddin province, northeast of Baghdad, was ongoing, Baban said. A colonel in the Kurdish peshmerga forces and Talib al-Bayati, the top official from Sulaiman Bek, both confirmed that it had been retaken, adding that it had been an important position for the terrorists. The town is located near Amerli, where thousands of mainly Shiite Turkmen civilians were trapped by a jihadist siege until Iraqi forces broke through on Sunday. The Amerli operation was the government’s biggest offensive success since militants led by the Islamic State of Iraq and Syria (ISIS) captured a huge chunk of northern and north-central Iraq in June. This entry was posted in Iraq News, Middle East and tagged Baghdad, Iraq, IS terrorists, Kurds, Peshmegra, Shallal Abdul Baban, Shiite Militiamen, Sulaiman Bek, Tez Khurmantu. Bookmark the permalink.